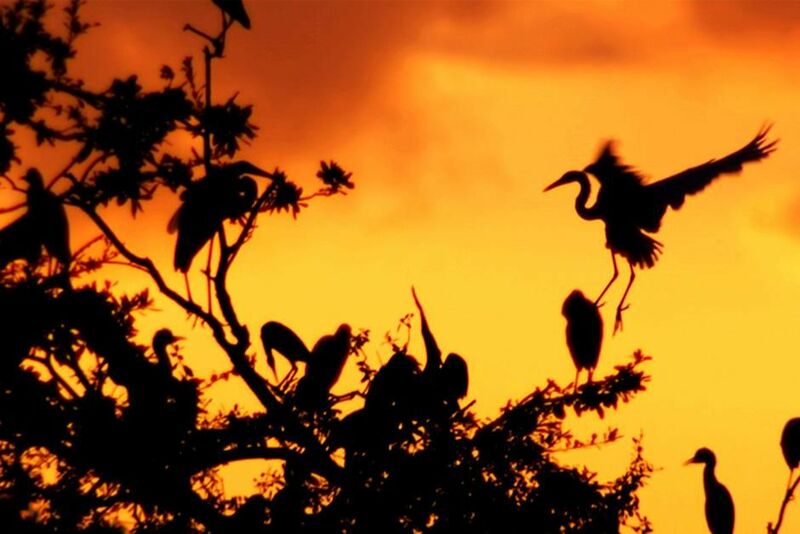 Several birds are silhouetted on the top of a tree against the orange sky. This image is from Swamp Men. 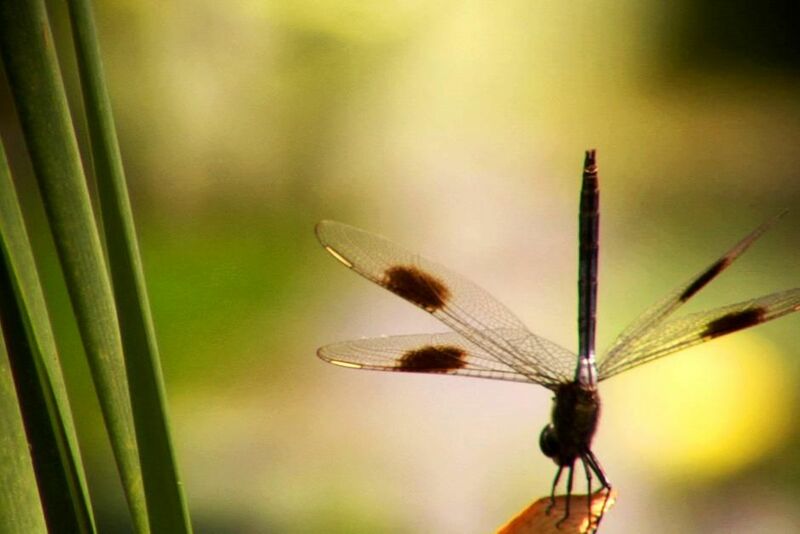 Dragonflies are valuable predators that eat mosquitoes, and other small insects like flies, bees, ants, and very rarely butterflies. They are usually found around lakes, ponds, streams and wetlands because their larvae, known as "nymphs", are aquatic. This image is from Swamp Men. 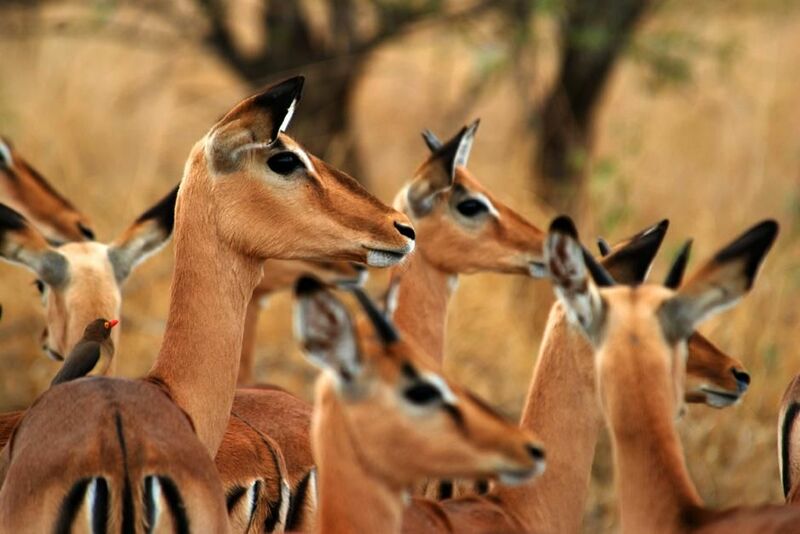 Heard of Impala looking into distance. Singita Kruger National Park is situated where two rivers meet, in an exclusive game-rich 15 000 hectares concession in the world-renowned Kruger National Park. This image is from Safari Live. 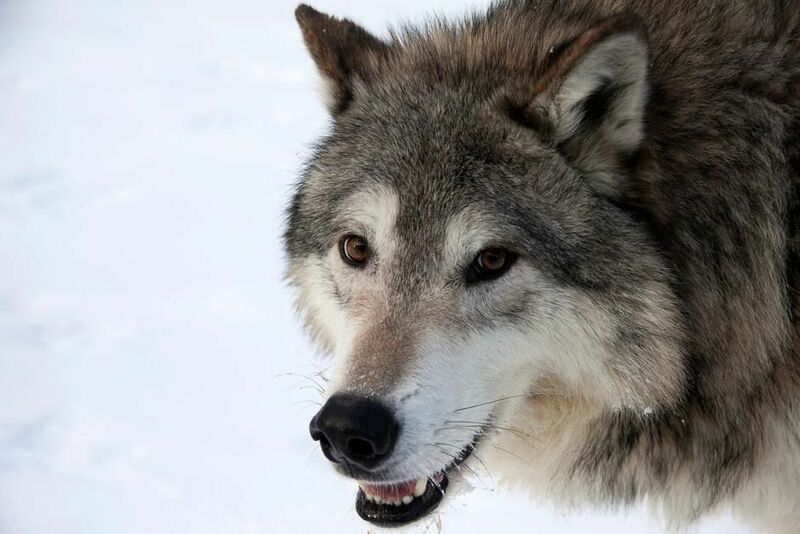 Forests Gray Wolf. Boreal Forest, Canada. This image is from Untamed Americas. 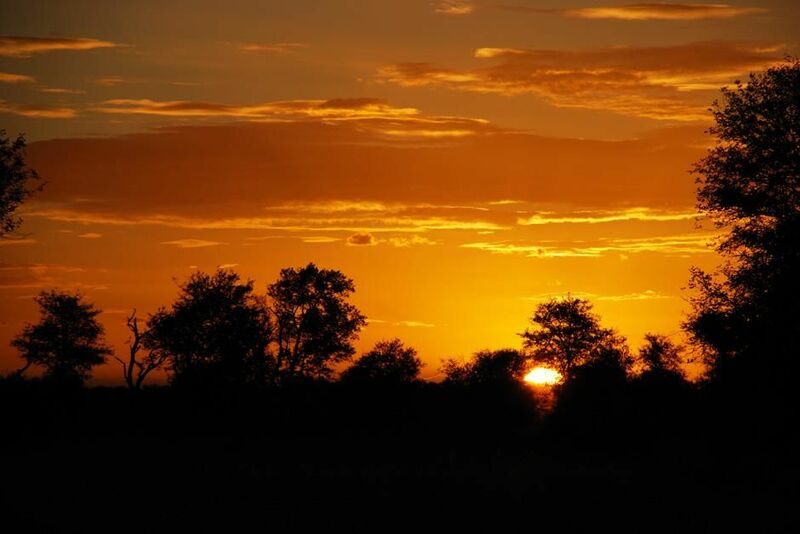 Sunset in the bush. 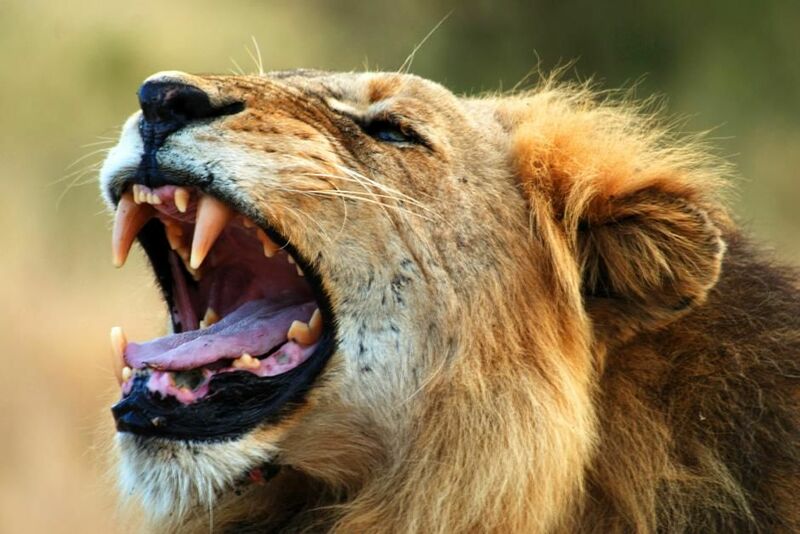 Singita Kruger National Park is situated where two rivers meet, in an exclusive game-rich 15 000 hectares concession in the world-renowned Kruger National Park. This image is from Safari Live. 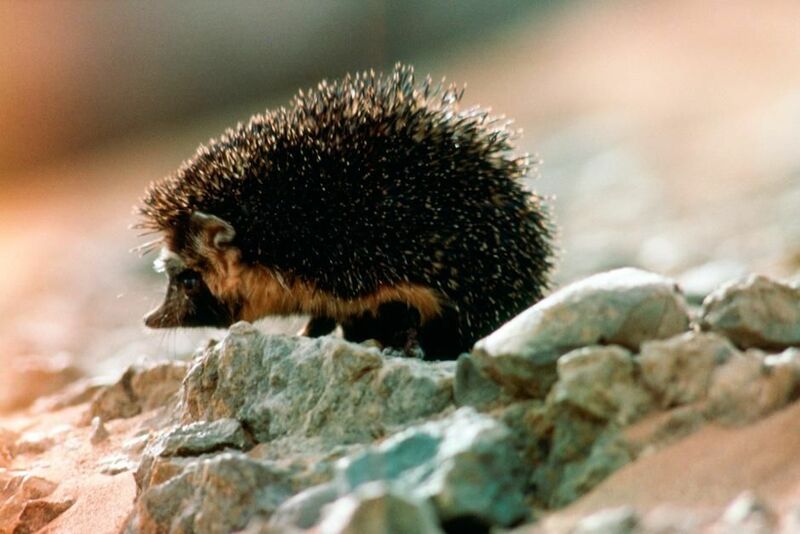 The desert hedgehog hunts insect prey in Saharan wadi. This image is from Sahara. 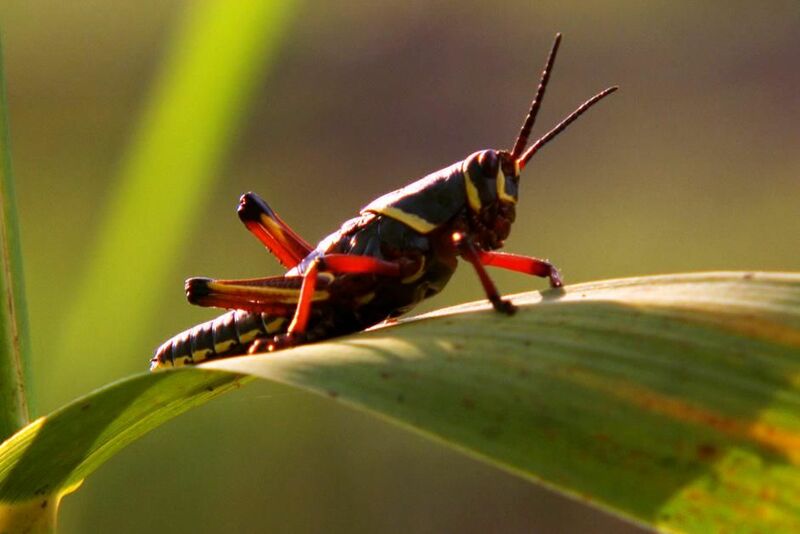 Big Cypress, FL, USA: Close-up of a Grasshopper on a plant. This image is from Swamp Men. 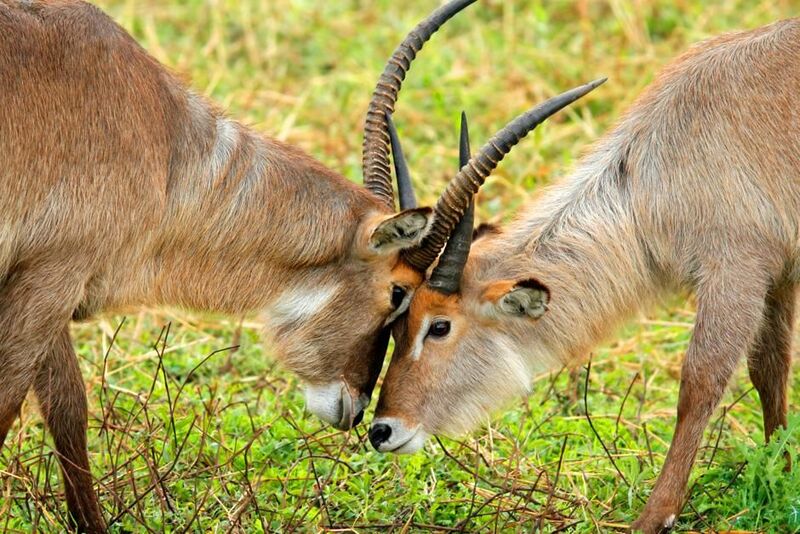 Antelope fight. 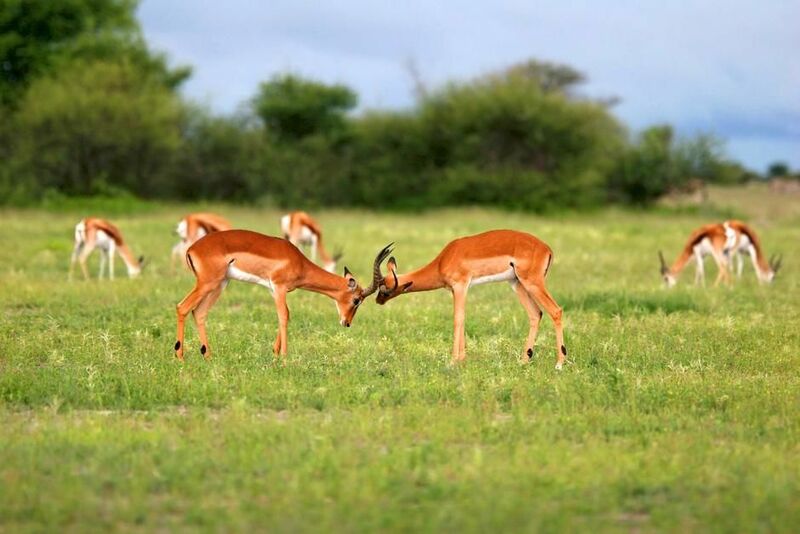 Nxai Pans national park. Botswana. Africa. This image is from Savannah. Two Fennec foxes, the smallest of the world's wild dogs, scan surroundings for safety near their den. Fennecs are highly specialized to desert life and almost exclusively live in arid sandy regions. 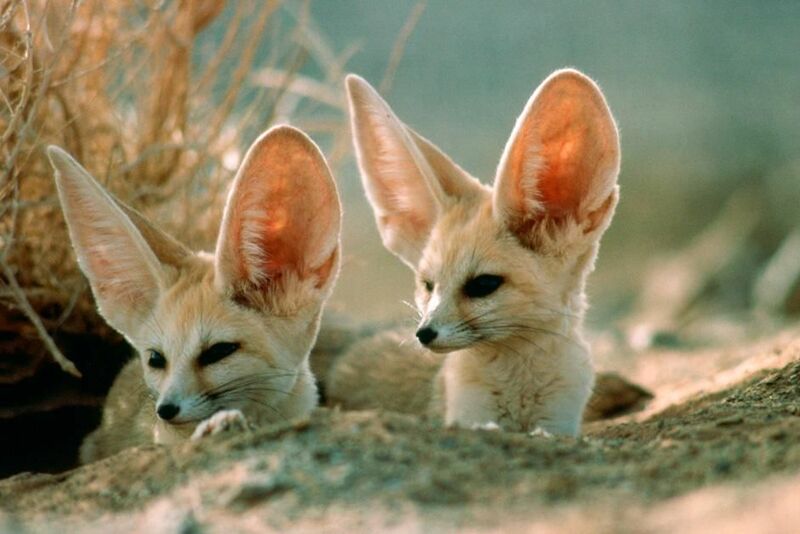 Their enormous ears dissipate heat and detect the rustling of prey underground. This image is from Sahara. Lion in the ark yawning. Singita Kruger National Park is situated where two rivers meet, in an exclusive game-rich 15 000 hectares concession in the world-renowned Kruger National Park. This image is from Safari Live. 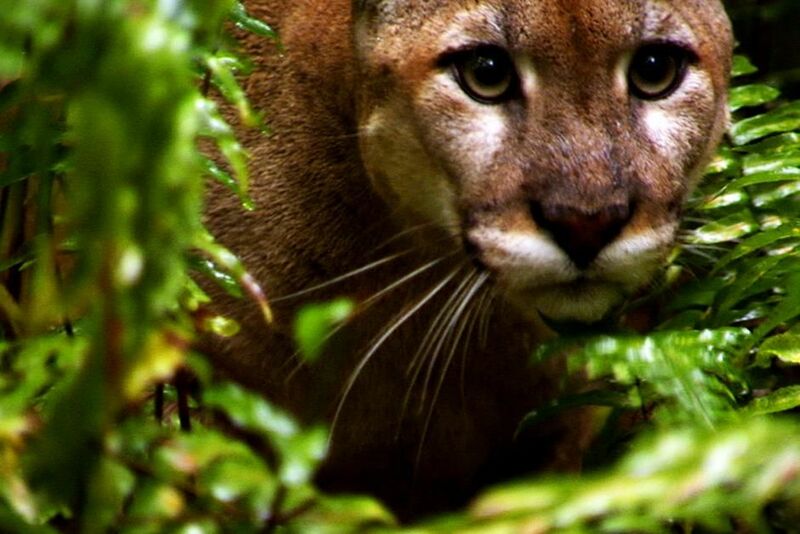 Big Cypress, FL, USA: A Florida Panther is seen up close in the swamp. This image is from Swamp Men. Kerala, India: A performer ready to take the stage for a Kathakali performance. 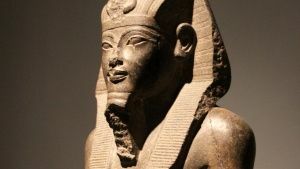 This image is from A World of Wonders. 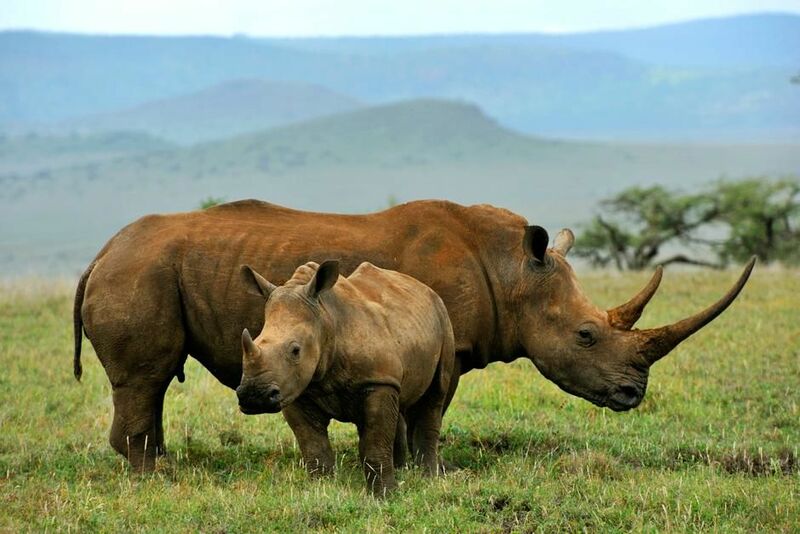 A juvenile Rhinoceros stands infront of an adult Rhino while out in the grasslands. This image is from Safari Tracks. 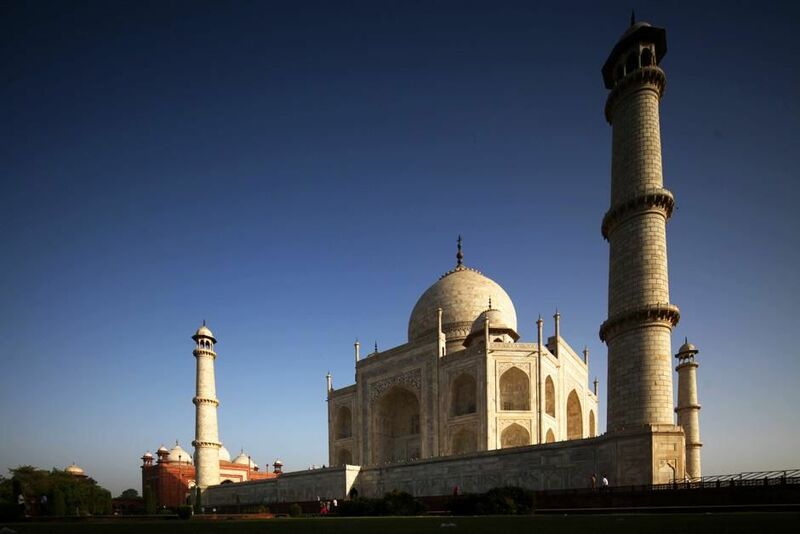 Taj Mahal, Agra, India: The Taj Mahal view taken from a large garden or Charbagh, a formal Mughal garden which divided into four parts. 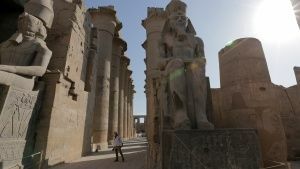 This image is from Access 360° World Heritage. 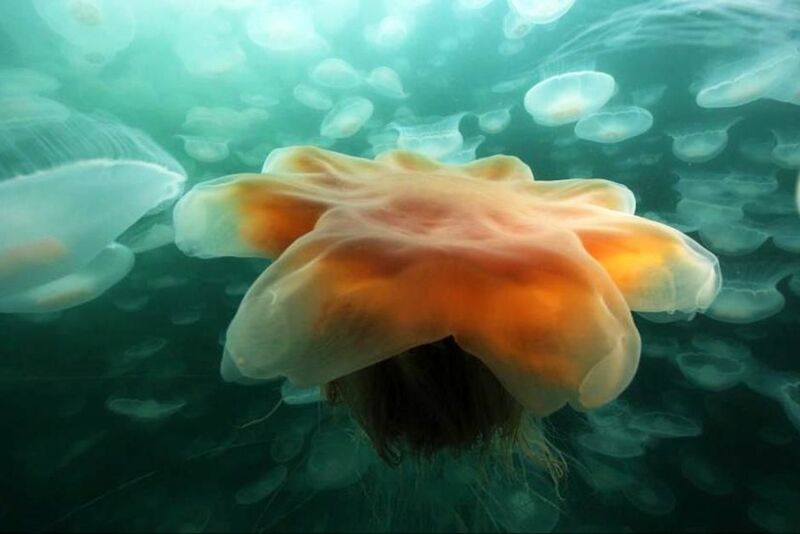 PRINCE WILLIAM SOUND, ALASKA: A medusae jellyfish smack invaded by a lion's mane jelly during the salmon shark run. This image is from Alaskan Killer Shark. 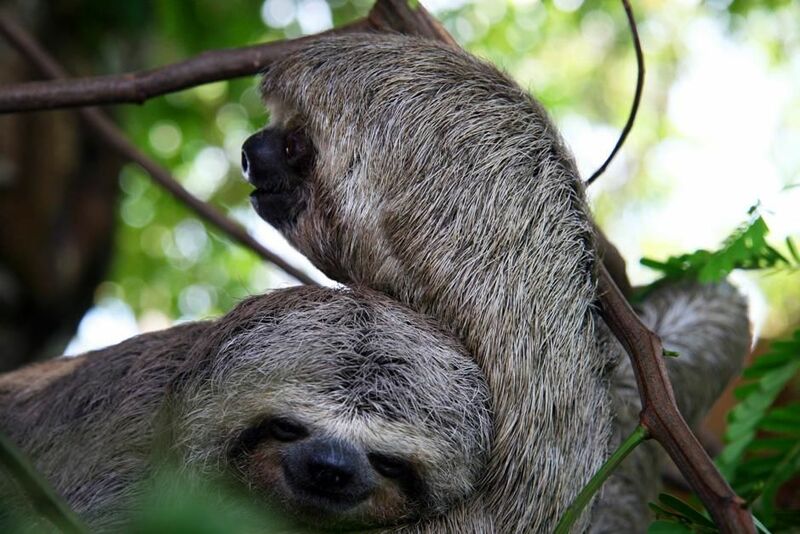 Three-toed sloth with baby. This image is from Into Amazonia's Giant Jaws. 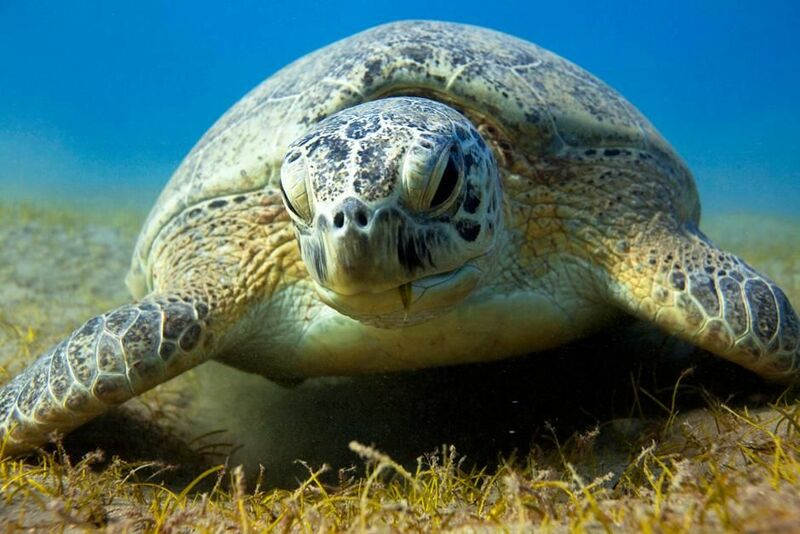 A Green Sea Turtle rests on the bottom feeding on seagrass. This image is from Desert Seas. 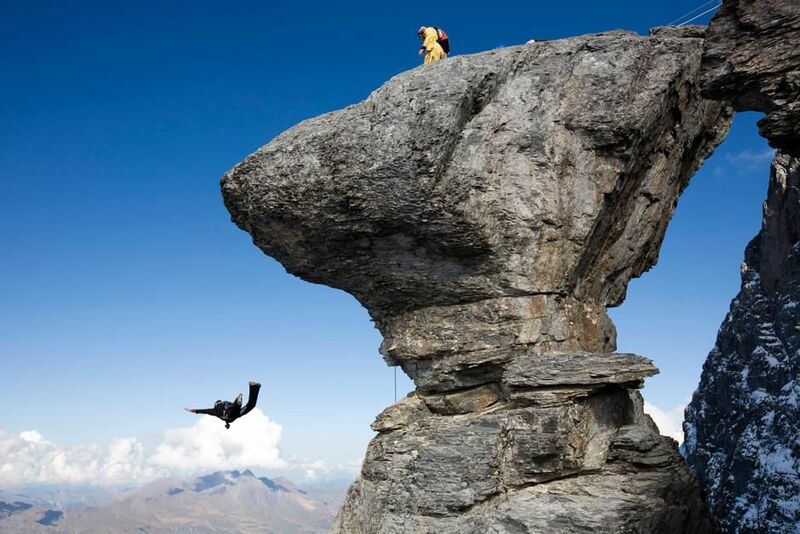 Profile of Mushroom Rock as Joby jumps, Jimmy Pouchert standing above. This image is from Adventure Wanted. 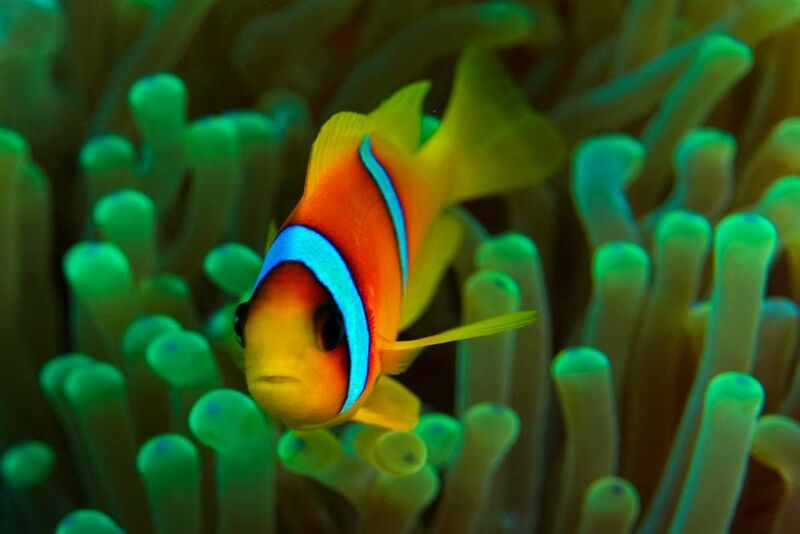 Red Sea Anemonefish (Amphiprion bicinctus) in its host anemone; commonly known as the Clown Fish. This image is from Desert Seas. 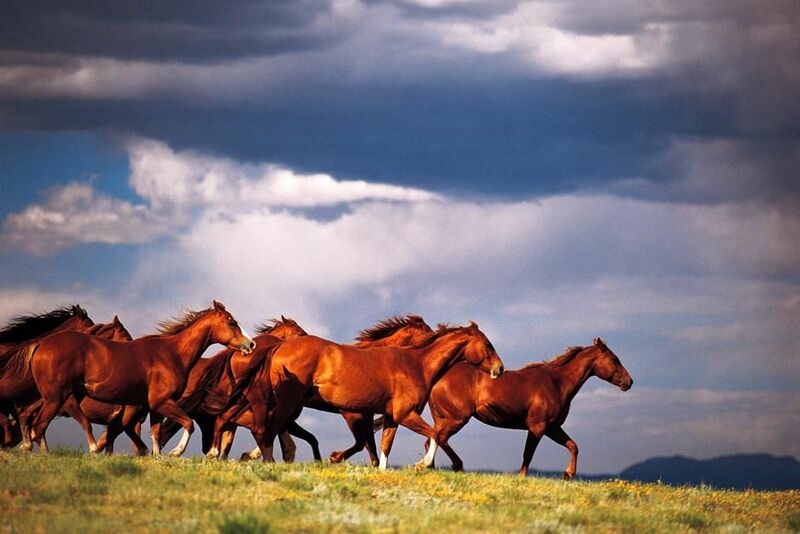 Deserts Wild Mustangs. Utah, USA. This image is from Untamed Americas. 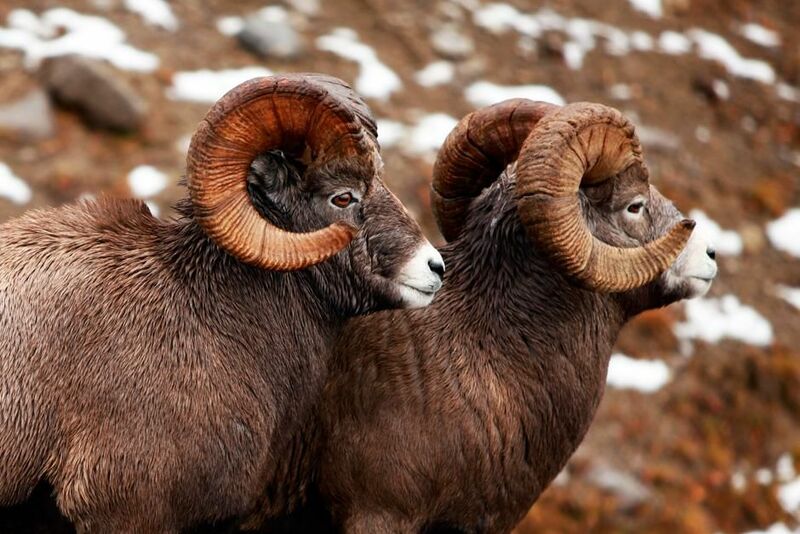 Mountains Bighorn Sheep Jasper National Park, Alberta, Canada. This image is from Untamed Americas. 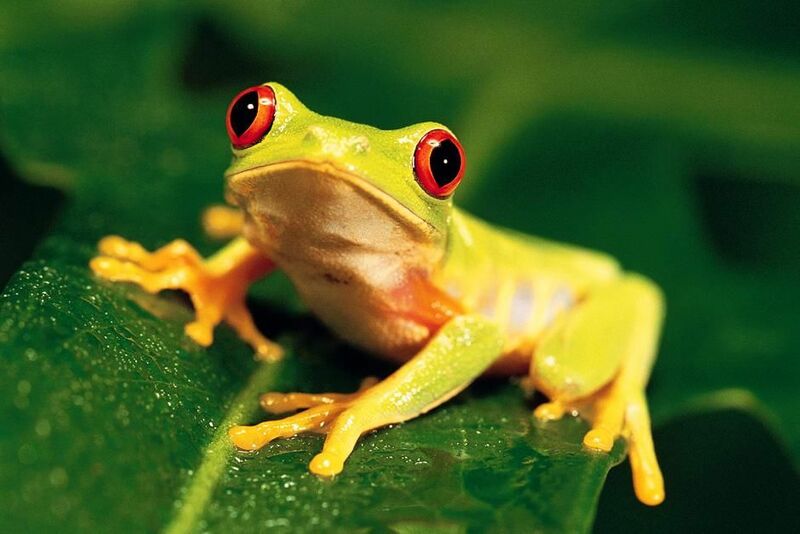 A tiny frog sits on a leaf with eyes wide open. This image is from Animals Are Amazing. 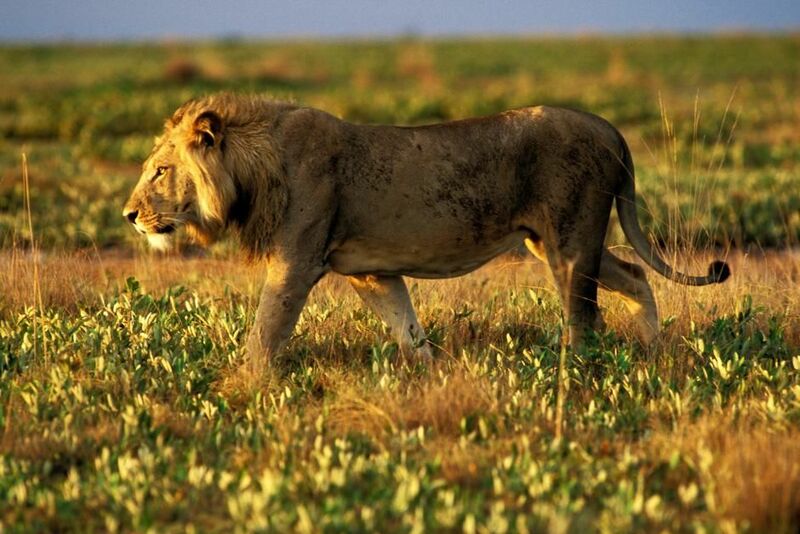 In May 2009 Park authorities relocated two male lions, brothers, onto the floodplains. It was a carefully planned operation. 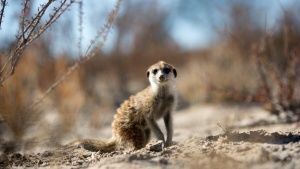 The month was chosen as there would be an abundance of prey and the males would be more likely to stay. The hope for the future is that once again lions will become a part of the Liuwa ecosystem and that a natural balance in the ranks of the predators will be restored. This image is from Zambezi. 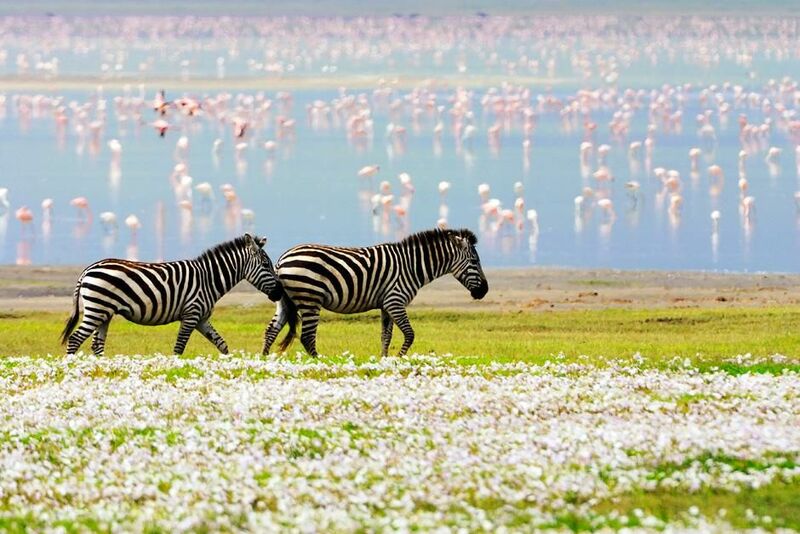 Two Zebras walk together in a floral landscape, while pink flamingos graze in the shallow waters in the background. This image is from Safari Tracks. Two Kobs knock heads during the Kob Jousting final at the Savannah Games. This image is from Savannah. 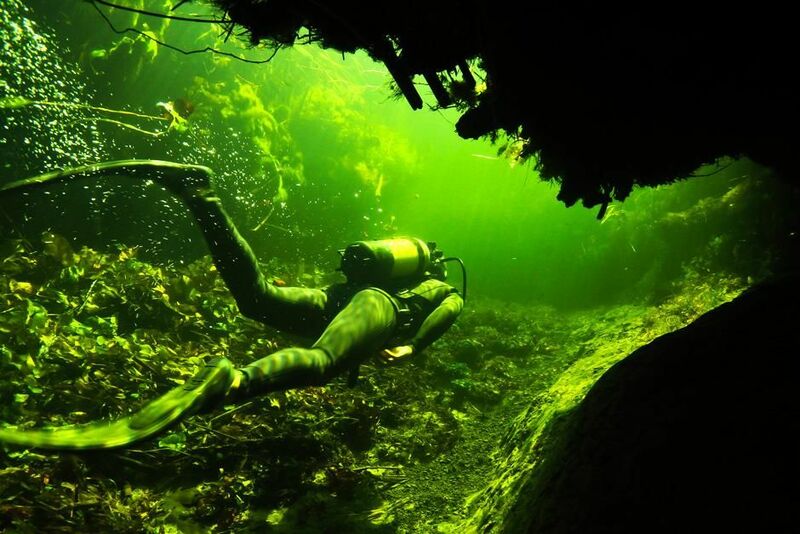 Okavango River Delta, Botswana: A diver swims through a channel in the underwater labyrinths that are filled with crocodiles of the Okavango River Delta, Botswana. This image is from Croc Labyrinth. 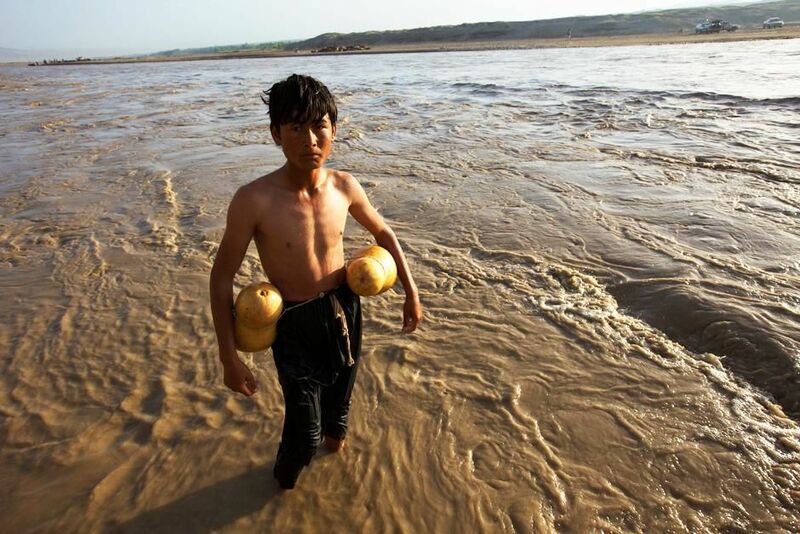 Afghanistan: Portrait of young man standing at the river crossing. This image is from Nat Geo's Most Amazing Photos. 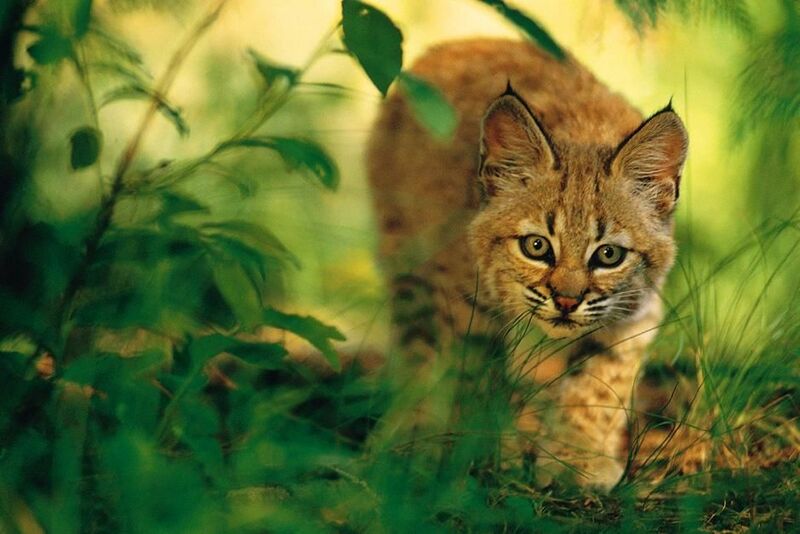 Close-up of a wild cat walking through the jungle while focusing on the camera. This image is from Animals Are Amazing. 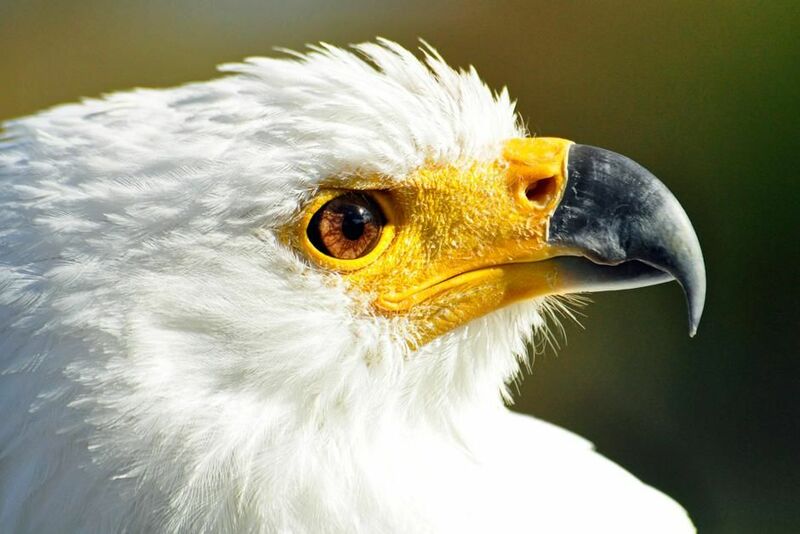 Dullstroom, South Africa: A close-up profile of the Fish Eagle. This image is from Africa's Deadliest. Leopard lying on a tree branch. 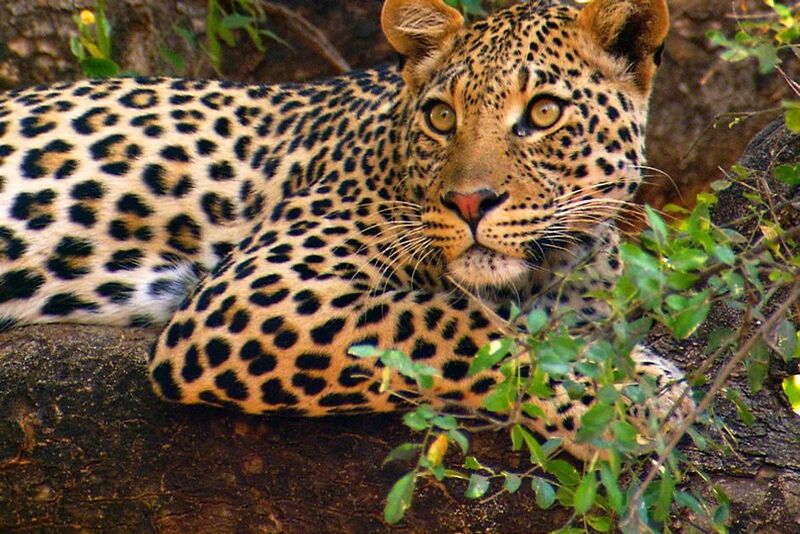 John Varty was filming leopard cubs when their mother unexpectedly came back. This image is from Cameramen Who Dare. 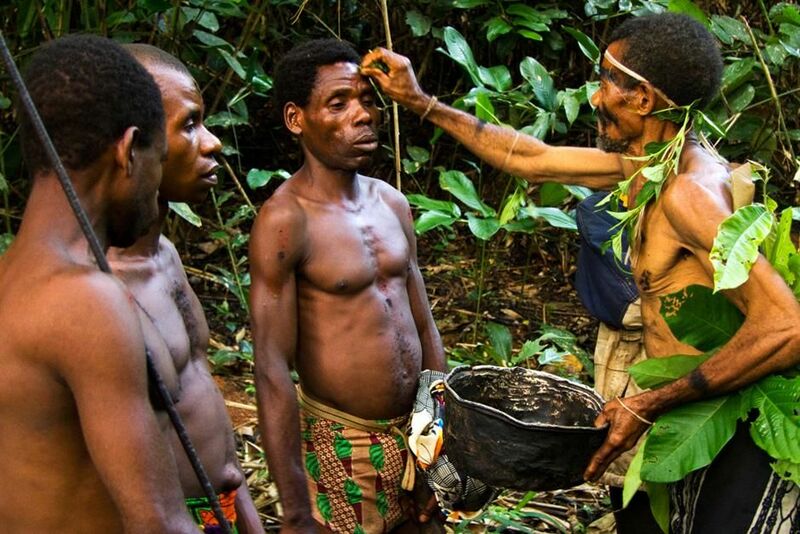 Cameroon, West Africa: Baka Pygmy hunters prepare for a hunt with a ceremony. These Baka Pygmies will help Pat Spain, a biologist on a mission to find out the truth behind the unexplained creatures of this world. Spain has traveled to the Congo Basin in search of a creature called the African Dinosaur (Mokole Mbembe). This image is from Beast Man.